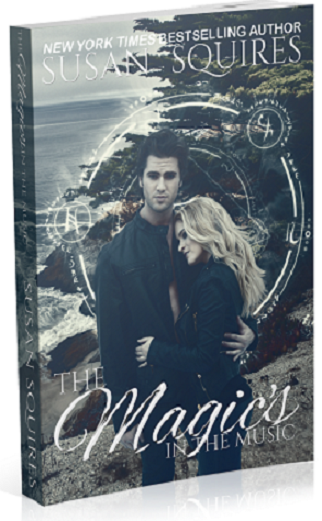 The Ghost rebels The Merlin gene has come alive in his brothers and sisters, giving them a magic power when they find their destined mate. Lanyon is afraid he’s next. Why would he want to share their destiny? The family is under siege. The Clan’s powers are increasing. His father, once invincible, is in no position to lead them. So he rebels. He haunts the L.A. club scene, appearing out of nowhere to play music no one can forget. But can he avoid Destiny? The minute he sees a beautiful blond girl and feels the incredible tug he’s heard his brothers and sisters describe, he knows he must resist her at all costs. Star-power Greta Falk is trying to control her own future, having sued her stage mother for emancipation when she was fifteen. But does she want a role in the next billion-dollar movie franchise? Or does she want to study the stars that have always fascinated her—the ones in the sky? Destinies Collide When Lanyon feels obligated to rescue Greta from the paparazzi, the only safe place to take her is home to his family. Right where he doesn’t want to be. Now he’s drawn into everything he’s been trying to escape. He can’t resist Greta. And she may hold the key to the Tremaine future. The Clan wants what he and Greta know. 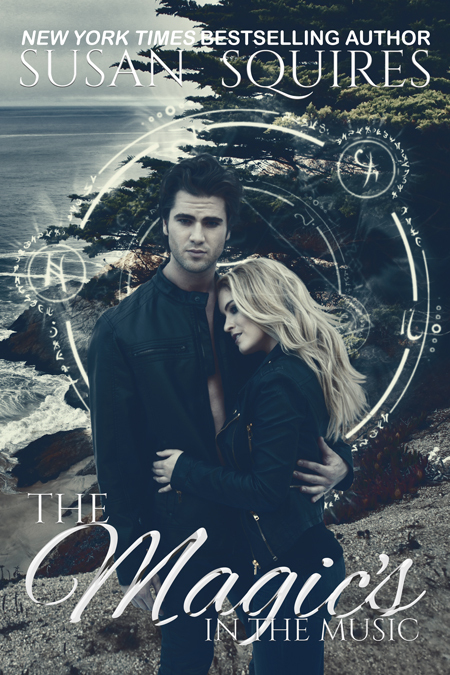 Can they make peace with their Destiny and embrace a future together? From several points in the room, Greta heard a soft hiss. “The Ghost.” Jax swiveled, then froze, her Lava Lamp forgotten. For Greta, things started to move in slow motion. She felt a tug, almost physical, from behind her. She turned like she was moving through viscous liquid. The man who strode through the crowd had shaggy dark hair, a long leather duster and stubble of at least three days. That’s where the similarity to the jerk who’d just been tossed out ended. This guy was no poseur. He couldn’t care less about the crowd. He didn’t even spare them a glance. The fierce look in his eyes was all for the red-washed stage. He strode toward it like he was moving through hell toward redemption. Greta was having a hard time catching her breath. What was with that? Yeah, the guy was a looker, but she’d been hanging out with beautiful men since she was twelve, and they’d never affected her this way. Cheekbones? Check. Strong jaw? Likewise. But his chin had a dimple, if she wasn’t mistaken. His lips were full, sensual. He felt dangerous, but contradictory. The crowd didn’t yell at the newcomer or jeer. They backed out of his way respectfully. The guy hopped up on the stage and surveyed the instruments abandoned there, his back to the crowd. He glanced to the keyboards but settled on a guitar, a candy-apple red one that glinted in the dim light. He picked it up, flipped a few switches on the amp and corrected the tuning. Back still to the audience, he strummed a chord that seemed to reach right down into your guts and quiver. As the echo died away, the man on stage threw his head back and began to play in earnest. It was no song she knew. She’d be willing to bet no one except this Ghost knew that song. The cascading notes were angry, but with a sobbing sound below that vibrated with sadness in your lungs. The notes started to soar only to be dashed to earth again and again by evil riffs. It was as if the man was ripping out his soul with that music. It went on and on. Nobody danced. Nobody fidgeted. Nobody talked. Nobody got up to go to the bathroom. They just listened, mesmerized. Maybe they knew they’d never hear something like this again. He turned around to the audience, but Greta knew he wasn’t seeing anybody in the room. Emotions flickered across his expression as he pulled out those wild notes and sent them skittering or thundering or sidling slyly into the room. When the last resounding chord crashed into silence, he stood with head down. The place erupted in applause and shouts. “Ghost!” Greta felt like a linen suit in Arizona in the summertime. She came to herself and grabbed for her martini. Her hand was shaking. 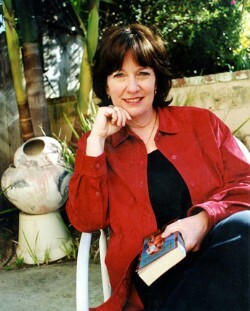 Susan Squires is a New York Times bestselling author known for breaking the rules of romance writing. Whatever her time period, or subject, some element of the paranormal always creeps in. She has won multiple contests for published novels and reviewer's choice awards. Publisher's Weekly named Body Electric one of the most influential mass market books of 2003 and One with the Shadows, the fifth in her vampire Companion Series, a Best book of 2007. Time for Eternity, the first in the DaVinci time travel series, received a starred review from Publisher's Weekly.